Alberto is a very kind man, one of the greatest balloon artists and one of the best instructors. Once I had the pleasure to participate on a class of him. Just so everyone knows Alberto is always flying and teaching all over the place so answered the questions a couple of weeks ago, I will be logging in under his name and posting the answers given during the week. If you do have any questions then please fire away and I will send them off to him at the end of the week to get them answered for you. Good question! I was “born” as decorator. Now I don’t like anymore make difference between decorators and twisters. Any way we use balloons and is not very important if we are twisting or assembling. 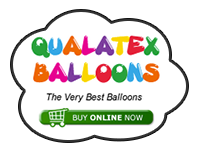 I already knew the twist side of balloon industry also before,but my first strong contact with this comunity was at The Millenium Jam in 2004. It was a very good experience full with creativity and inspiration. 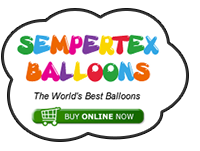 I started in 1997 when I went to Florence for a Balloon Express seminar. There I attended my first basic class. From next two years I worked with balloons just for hobby. In 1999 I received my CBA and I started also with my first balloon business. In 2005, during my second The Millenium Jam I entered my first “Iron Man Contest”: a pure surge of adrenalin! This is very sad. In March 2008 I leaved at the half a class in Holland because I received the call my father was dieing. I immediately come back to home but I arrived there too late. He flew away before I arrived to him. He was a very special person who was very proud about my job and who spured me to do it as well as I could. I’m not a twist-stakhanovite I enjoy much more twist alone to find new technique than jaming room, for example. When I found a technique which can work to make different designs I every time felt good satisfations. Sorry, I’m not entertainer! But I like very much to watch professional entertainers with balloons... And also without! I repeat you I’m not entertainer. Any case someone happened to ask me for some thing at the moment... If was a woman asking did I do a bulb of rose using 321Q which you could find a step by step recipe subscribing your free adhesion on my web site www.albertofalcone.com. Then a man asking for I shacked his hand telling him “do you have a wife or a girl friend?” And I did the same 321Q bulb of rose! Just once I helped a friend making balloon for a line of children who were in front of me! Their request was like a boring jingle: swords for boys and flowers for girls! I like to work for private events. In this market I found many people who was ready to leave me confidance to develop my job with creativity. I did different big project. I think the bigest one was for a company which need to introduce a new character on Hungarian market. It’s name is “Fifi” and it’is a daisy who live in a garden. Its house is a kick, its friends are insects and its weelbarrow is a leaf. It’s a child character who want to spread the importance to safe our environments and habitat. I projected a big landscape to replicate Fifi’s garden. Fifi was 6 metres tall and it was lined into its weelbarrow. Like backdrop there was a 6 x 10 metres wall made with plus than ten thousands 5” Qualatex balloons. It was a huge project which put together almost 40 Hungarian professional balloon artists who worked as volunteers for two days. I was very proud twice thanks to the same technique called “Huggables”. In 2009 I won two first prizes in two important contests: to Twist and Shout and to BACI making a group of elephants in the first case and a mammoth the second time. To BACI I was very happy also because in that occassion I won my second “David Grist” prize. I think is not very important to be creative as is vital to be professional. For this I suggest every time to spend time and energies to learn very well the basic to work with balloons choosing the right fundamental classes not from people who are not professionals and not using good materials. I don’t think I will change so much my road in the future... or maybe yes! I’m always ready to increase my knowledge about balloons and techniques to use them. So... the furture is future... I’m sure something good is waiting for me I hope to have enough slyness to see and to take these occassions at the right moments. I’m a idealist man. Many things I did, and I hope I will do, are important because make me proud, happy, inspired people. But we are living in a world where the money is very important too. I think the balance between idealism and concreteness could be the best goal possible. I started last year to capitalize all my experiences producing some instructional DVDs about techniques I developed in ten years of teaching arround the world. It’s a quiet demanding project. My goal is arrive to finish this project with good results in quality, contents and selling. I lost two years! I recognized just later how much was limited his concept and how much is important use every kind, colour, shape of latex balloons! Balloon modelling technique is like technology: never stop to surprise you with new advanced amazing discovers. Some years ago I was amazed watching Marvin Hardy’s kaleidoscope like now I admire Rie Hosokai’s dresses. I’m sure in the future some other balloon Artist, with capital A, will surprise us with his/her own creativity and genius. I worked for many VIP. Most of them was Milan or Inter football players. But I think the most important person I never created for was myself. Because at the end I think your work is the mirror of yourself and of your critical sense. My opinion is if someone want to be a twister must to twist! Must to take latex balloons in the hands and start to twist them! Just in this way is possible find enthusiasm and passion for this job. I found many people who don’t want touch tubolars balloons becouse afraid. They continue to think “I would like but is too difficult for me”. In this way they never will be twisters! I’m excited every time I can see people sit down in one of my class who are really amazed becouse they just did a 20 bubbles star following my instructions step by step. Their are proud for this simple design and I’m happy for their happiness! The past! My past! I think every design is the result of the experiences people did before to “draw” it! It’s an automatic mental process to coming out with a new composition. Just later you can recognize in it some past experience. For me it works in this way. I’m sure for other creative people the way could be totally different. Heavy question! I think with this question you touch one of my worst character point. I’m not a very good team worker. I prefere work alone. I often work with teams but like leader of the group. Rarely I asked someone to help me in project something. I’m sorry! Great interview, thank you for your time. Your "Fifi" is absolutely amazing!!!! Met him a couple of years ago at a convention in Yokohama. Lovely man. Nice interview, thank you.